As it’s name suggests, the Pacific Loon spends most of its year along the Pacific Coast in Canada, Northern US, and Japan. For three months in the summer, however, Pacific loons abandon the ocean and move north. Pacific loons breed and rear young on small lakes in the the central arctic and northern boreal regions from Alaska to Hudson’s Bay. In BC, they only breed in thenorthern boreal mountains ecoprovince. 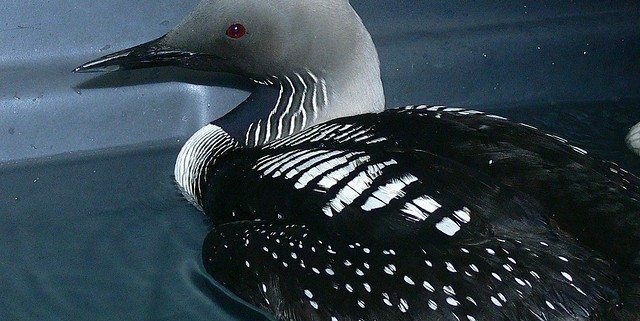 See what Pacific loons look like and hear what they sound like. Definitely a water bird, Pacific loons are awkward on land – their feet have evolved first and foremost to help them dive and swim. Walking is more difficult and they cannot take flight from the land. Even far from the ocean, Pacific loons make their homes on the water – breeding in small northern lakes, nesting at their edges, and eating freshwater invertebrates. Pacific Loons are one of 5 species of loon found in North America. They most closely resemble Arctic loons and were considered to be the same species until 1985. How do scientists distinguish between species? 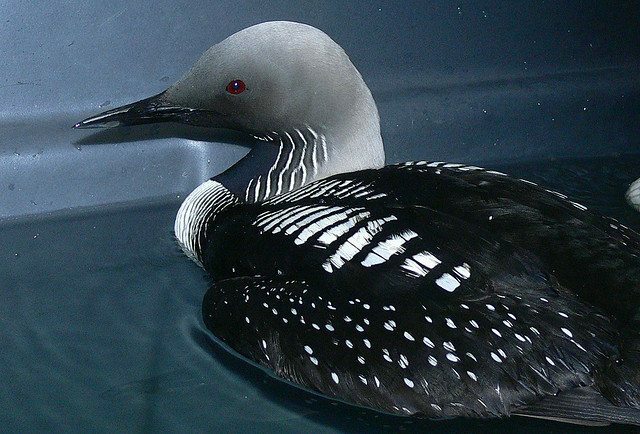 Although Pacific Loons and Arctic Loons overlap in some regions, they do not interbreed. Arctic loons breed across northern Eurasia with only a small breeding range in western Alaska. Pacific loons on the other hand breed exclusively in northern North America. They can also be distinguished by a few physical traits – slight differences in size, the shape of their heads, and the feathers on their flanks to tell them apart. 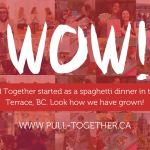 pull-together.ca: Is this what solidarity looks like? A Marsh? 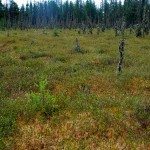 A Bog? A Swamp? A Fen?